The Loft Theatre-Lounge-Dining is located in South Lake Tahoe’s Heavenly Village and is the only live performance theatre, luxury lounge, and restaurant. Award-winning Chef Lisa Devincenzi-Miller offers an array of homemade and handcrafted Italian cuisine. Come enjoy The Loft’s full-bar with award-winning wines from all over the world. Prepare to be amazed by strolling close-up magicians in the lounge area and restaurant. The Loft Theatre presents Magic Fusion with shows Monday through Friday at 7:00p, Saturday and Sunday, two shows nightly (Saturday 7pm and 9pm/Sunday 4:30pm and then at 7pm). The Magic Fusion show runs around 75 minutes long, and appropriate for all age groups. You will find the ground floor entrance of The Loft in the Heavenly Village, next door to the Toy Shop, and just a few doors down from Starbucks. 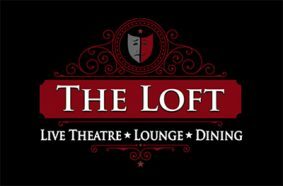 The Loft Theatre-Lounge-Dining is open seven days a week, from 4pm – 2am.